From the producers of the movie about America’s most prolific serial murderer , this video is worth a minute of anyone’s time. Kickstarter tried to block the fundraising. 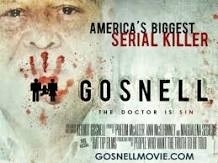 This entry was posted in Movies, Politics, Random and tagged Gosnell, Gosnell Movie, Serial Murder. Bookmark the permalink.